Adi Quala, Eritrea and Rama, Ethiopia - Teklehaimanot Tesfazigi is 103 years old and has witnessed Eritrea's many stages, from the Italian colonial period to the British administration, which ended in 1951, when Eritrea joined Ethiopia in a federation. Then there was the Eritrean War of Independence that ended in May 1991, followed by a bloody two-year border war with Ethiopia from 1998 to 2000 and a subsequent cold-war period between them. Despite a peace deal signed in Algiers in December 2000, putting an to end to the border war that is estimated to have killed 70,000 from both sides, the two countries remained in a state of bitter enmity along their 1100km border. That hostility ended in July this year, with Ethiopia and Eritrea signing a peace declaration enabling air services to resume, phone lines to reopen, and the restoration of diplomatic missions. Their common border reopened on September 11. Tesfazigi lives in the picturesque and quiet Eritrean city of Adi Quala, 30km north of the Ethiopian border. 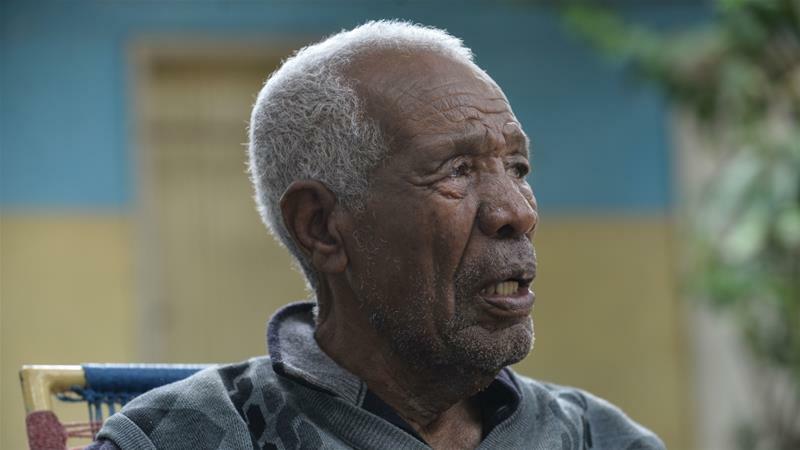 But the centenarian had once lived in Ethiopia and owned two hotels and a natural gum processing business there, which he had to leave behind at the outbreak of the Ethiopia-Eritrea border conflict. He was made to return to Eritrea as part of a forced population exchange between the two countries that saw hundreds of thousands from both sides deported. The war and the subsequent cold war between the two nations has cost me dearly. Now he spends his days greeting mainly Ethiopian customers at his small hotel, Tourist, in Adi Quala city. He says he is hopeful about business after the common border resolution. "The war and the subsequent cold war between the two nations has cost me dearly," he told Al Jazeera. "I used to employ more than 2,000 people in Ethiopia before the outbreak of the war. When I returned to run my hotel business in Adi Quala, we had a chronic shortage, which closed the business for a long time." Kibreab Tewolde manages the Messebo Cement factory in Ethiopia's Mekelle city, the capital of Tigray regional state, which borders Eritrea. 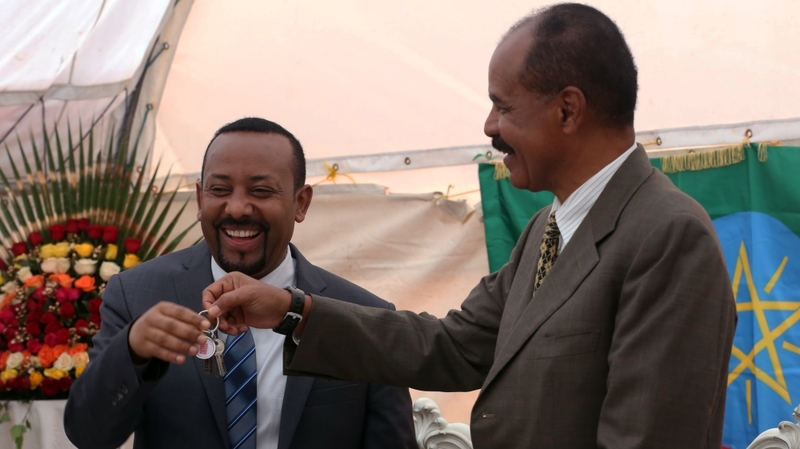 He hopes Eritrean ports can facilitate renewed business ties between the two nations. Landlocked Ethiopia used to depend mainly on the Eritrean ports of Massawa and Assab for its foreign trade, but conflict led Ethiopia to shift its foreign trade to neighbouring Djibouti. Tewolde said Messebo has found a lucrative market in Eritrea for its cement products, and he hopes to expand the factory's customer base internationally using the Massawa port. "The distance from Mekelle to Massawa port is about half that of the distance from Mekelle to Djibouti port," he told Al Jazeera. "With the reopening of the Eritrean border, we can cut transportation costs for the estimated 25,000 tonnes of coal we import monthly to fire up our cement plant as well as make it profitable to export our products to the global market." Tewolde says the two countries lost significant opportunities over the past two decades and hopes they keep their promises this time around. While the reopening has seen business boom in border towns in both countries, the number of migrants and refugees from Eritrea to Ethiopia has grown, with many citing Eritrea's struggling economy, continuing indefinite conscription and political repression. 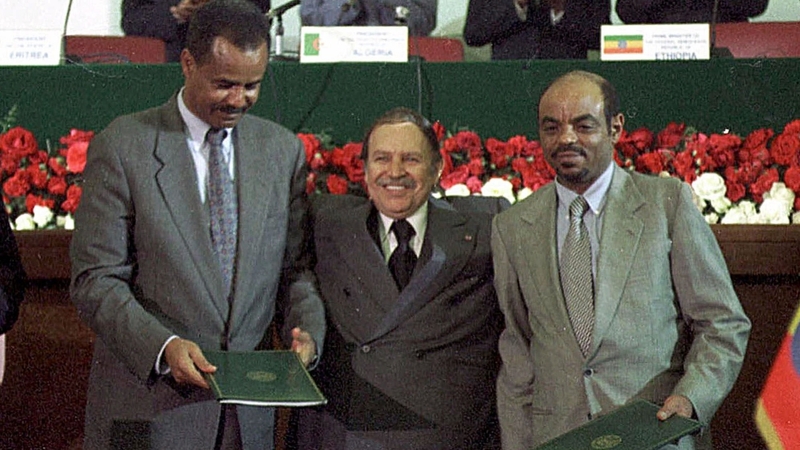 After the 1998-2000 border war, Ethiopia expanded its economy, while Eritrea's economy stagnated as the government said it needed to divert resources and human power to fight off a potential invasion from its much larger neighbour. According to the UNHCR, between September 12 and October 13, 9,905 Eritreans arrived in Ethiopia, the majority of whom claimed to be attempting to reunite with family. I will return when there are meaningful changes in Eritrea. Until then I will live in my second homeland. Eritrean migrant Hadas Reda (not her real name), a mother of five, fled to Ethiopia two weeks after the border between the two countries was re-opened. Clutching her 18-month-old baby, Reda told Al Jazeera she fled her village near Asmara, the Eritrean capital, by foot. It took her an entire day to walk to Ethiopia. "My husband, a soldier, had already defected to Ethiopia a year ago, leaving me and my children to struggle and live off a half hectare of land given to me by Eritrean state," said Reda, who now lives in the Ethiopian border town of Rama. "I came to Ethiopia because I struggled economically and I wanted to meet up with my husband. I will return when there are meaningful changes in Eritrea. Until then I will live in my second homeland," said Reda, noting the common ethnic heritage of people on both sides of the border. The streets of Rama city are full of new Eritrean refugees who register at Red Cross and UNHCR centres before relocating to refugee camps or moving to other parts of Ethiopia to live with friends or relatives. Zenebe Berhane, a Rama city administration spokesman, confirmed the rise but said economic gains may reverse the refugee flow. "Before the war, Rama city had strong economic, political and social relations with Eritrea," he told Al Jazeera. "But with the outbreak of war, the city suffered a business downturn, farmers nearby were not able to farm their fields for fear of conflict. Now, construction materials, cement and food items are being sold to Eritrean buyers as Eritreans sell clothes and electronics to Ethiopians. "Already, a 60km asphalt road from Adwa city to the Ethiopian edge of the two countries border is being hurried up. Ethiopia has completed a study to use the Eritrean port of Massawa and there are tentative plans to build a university on the two countries' borders with help from both governments," said Zenebe. For now at least, many Ethiopians and Eritreans, despite mutual wariness, have high hopes for the diplomatic thaw to continue.